At first glance, it may seem that the relationship of chemistry to art could not be further apart. But in art, chemistry is desired, even necessary, for creation and expression. While not all chemists are artists, it can be said that all artists are chemists in their pursuit through experimentation and study of various materials—whether paint, photographic film, metal, glass, or clay. Three artists—photographers Nancy O. Albert and Meg Greene Malvasi, and painter Leigh B. Williams—employing different approaches, address the idea of chemistry and art. Each artist explores the idea of chemistry as both a literal and symbolic process in her body of work. Nancy O. Albert’s digital photographic images focus on the interaction of nature’s processes with urban and industrial structures. 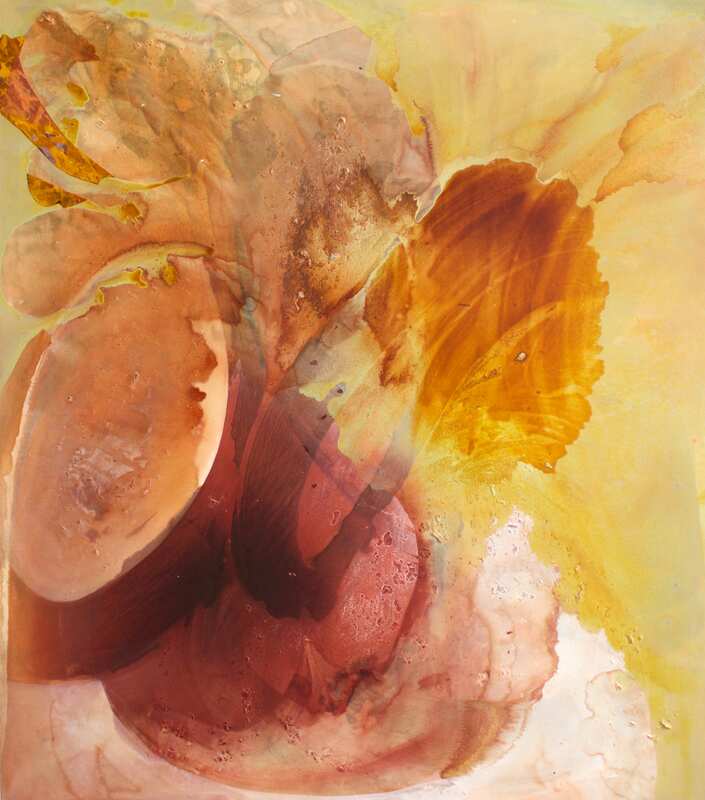 Meg Greene Malvasi submerges Polaroid images into tubs of water and other chemicals, to create corroded-like images rearranging color, light, and shapes. Leigh B. Williams’ works draw on the interaction of alcohol inks and acrylics with a variety of substrates. Active experimentation, resulting reactions, and creative controls all contribute to each artist’s process. Personal chemistry too, plays a role. Working with each other, the artists combine their own energies and vision to the idea of chemistry and art. The end result is a collection of work showcasing how chemical compositions, creative processes, and the interactions of people come together to create art. Time: 3:00 p.m. – 5:35 p.m.
Materials provided by students: No DSLR’s needed. iPhones or Smartphones are fine. 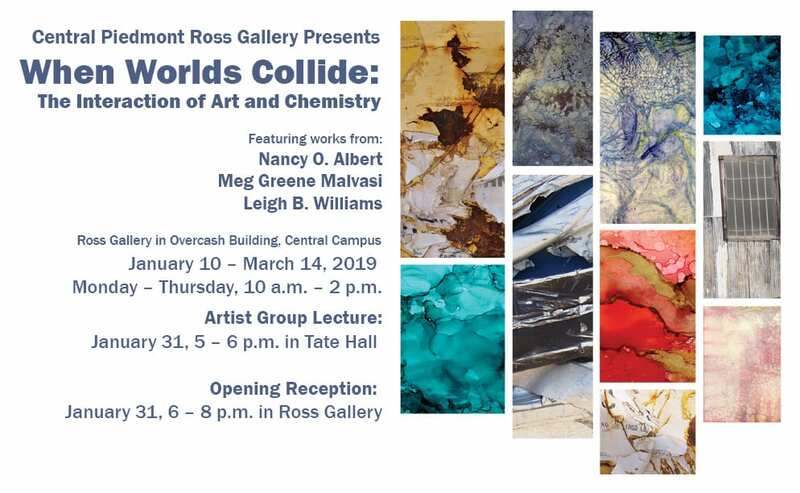 Description: A visit to Ross Gallery, Nancy will explain the group exhibition “When Worlds Collide” and discuss her work and process. Nancy will then guide the group around a nearby area, preferably something gritty and industrial. The group would take photographs in our urban landscape for one hour, then head back to the classroom to critique and discuss their work. Nancy will encourage the group to look at what is around them and concentrate on detail and composition. Description: Artist, Leigh B. Williams, will conduct a two-hour workshop introducing students to the exciting properties of the fairly new medium of Alcohol Ink. Leigh will provide a short introduction on the distinctive qualities of Alcohol Ink and reinforce the elements and principles of design, focusing on color properties. She will offer several demonstrations of various techniques used in painting with this vibrant and fluid medium. The students will be able to experiment and find out first-hand what makes Alcohol Inks so unique. They will create their own original works of art on sheets of 5” x 7” Yupo paper. Space limited so sign up fast! 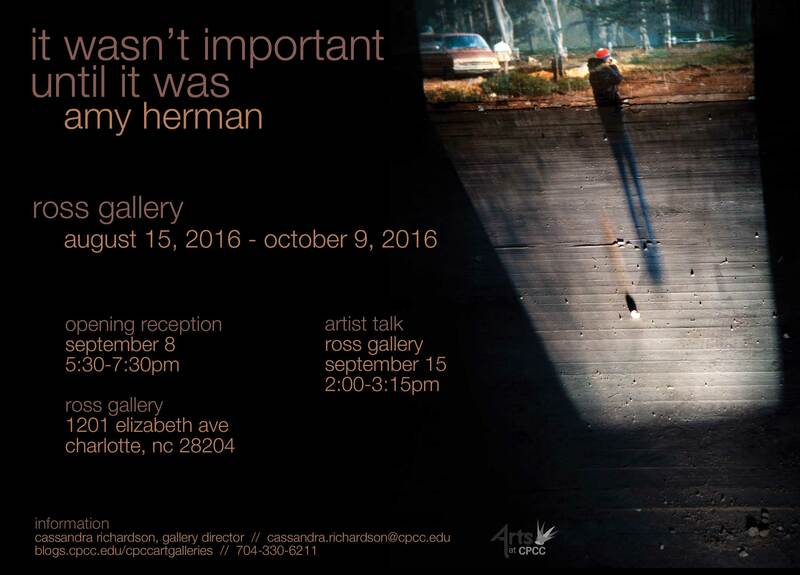 Email Gallery Director, Megan.Lynch@cpcc.edu to save your spot. November 8, 5:00 – 8:00 p.m.
Gallery Hours extended until December 18th! Monday – Thursday 10 a.m. – 4 p.m.
Friday, November 30th 6 – 9 p.m.
Saturday, December 1st 6 – 9 p.m.
Sunday, December 2nd 1:30 – 4:30 p.m.
Saturday, December 8th 1 – 8 p.m.
Sunday, December 9th 12:30 – 5:30 p.m.
November 14, 6:00 – 8:00 p.m.
completely immerse oneself in the arts at the Airy Knoll Farm in Virginia. CPCC’s Pease Auditorium and Gallery will permanently close in January 2019 after more than 50 years of memorable productions, performances, gallery exhibitions and events. Pease, and the aging building that surrounds it (the Hagemeyer Learning Resource Center), will come down and be replaced by a new, state-of-the art library for CPCC’s students. The new Learning Resource Center will also include a replacement of the existing Pease Auditorium and Gallery. Individuals interested in tracking the new building’s progress can visit cpcc.edu/facilitiesservices/hard-hat-updates for construction updates in the new year. “Ancient Expanse” is a site-specific installation I started in Denmark in 2009 as a Resident Artist at the International Ceramic Research Center-Guldagergaard. It consists of a series of small ceramic pieces that are a reaction to the natural environment along the southwestern coast of Zealand. I documented the piece by taking pictures of the sculptures along the beach of the town where I was living in the water and other natural areas. 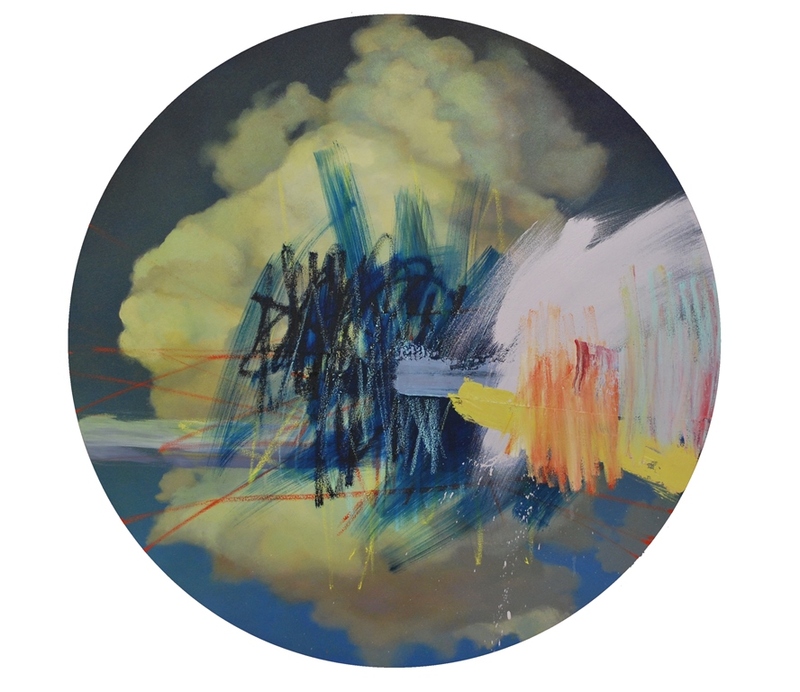 “Ancient Expanse” explores the boundaries between perception, reality, time and space. Photographs of the work document a fleeting moment in time where the natural and the created interact. Over the past five years, I have continued to make more pieces and have accumulated 1,000 ceramic objects. They are installed into large organic patterns in galleries or outdoors, and the original photographs are shown via video or projection. 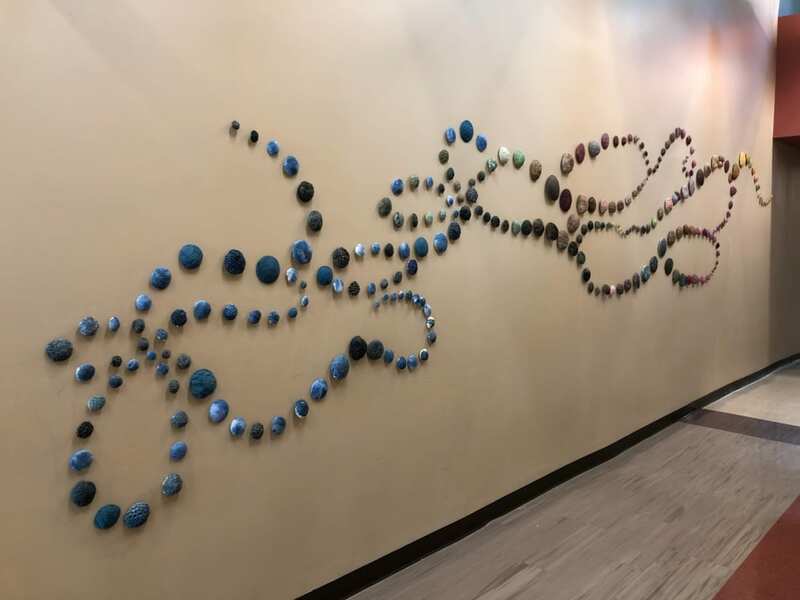 While the piece was inspired by Denmark, the colors and patterns of the individual sculptures reference ocean life as well as textures found in nature. “Ancient Expanse” is playful and engaging and causes the viewer to stop and think about what they are seeing. 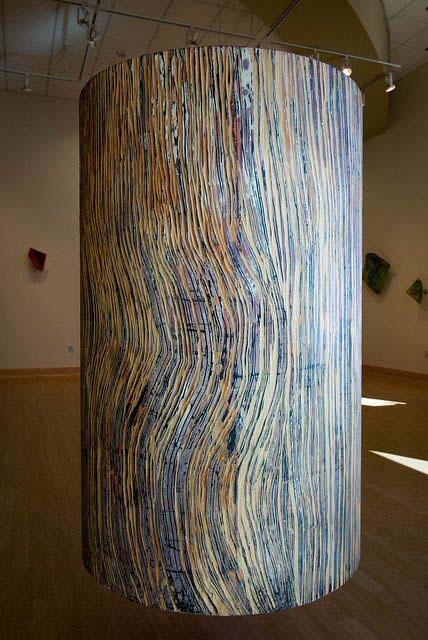 There is an element of surprise as people realize that they are not actually looking at real objects, but sculptural forms that reference nature. It blends the natural with an element of discovery that engages the community in a dialogue about perception and reality. Calling all CPCC students, come and create some art with our gallery team. The entire Ross Gallery I will be transformed into a creative environment where students can come make art. Artworks will include, painting, photomontage, collage, origami and more. Are you unsure if you have what it takes to make art? Now is your chance to come find out!! Join us on our exciting interactive experience to test out your creative skills. 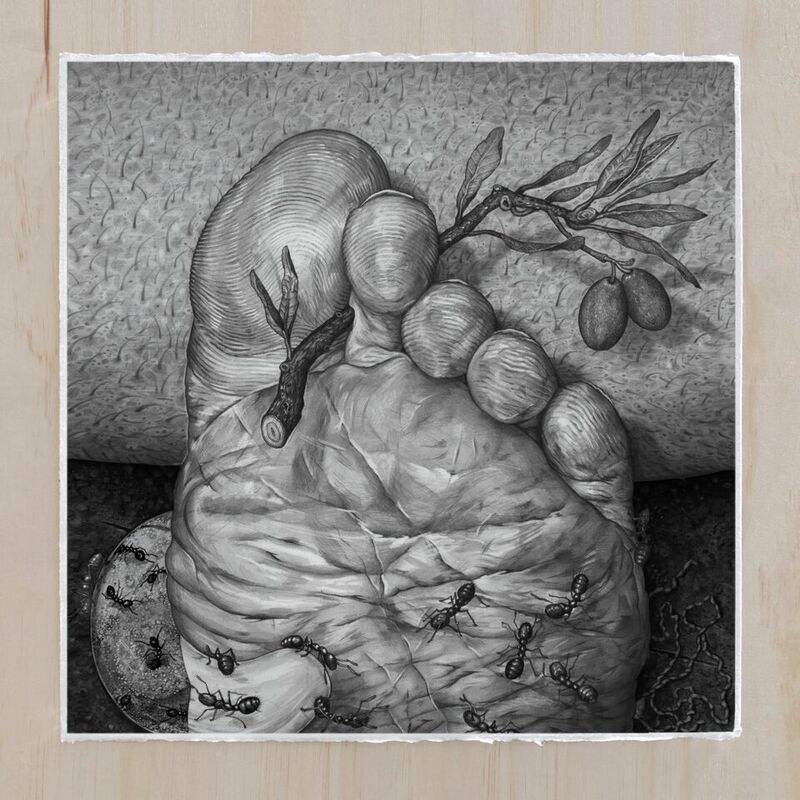 Central Piedmont Community College’s (CPCC) Ross Gallery is excited to bring Artist Katie St. Clair’s exhibition, “Fruiting Bodies” to the college’s Central Campus, Aug. 15 – Oct. 10, 2018. Central Piedmont Community College (CPCC) Galleries is pleased to present a multimedia group exhibition called, “Past & Present” which is part of a celebration to commemorate the many years of the college’s beloved Pease Gallery, located on its Central Campus. 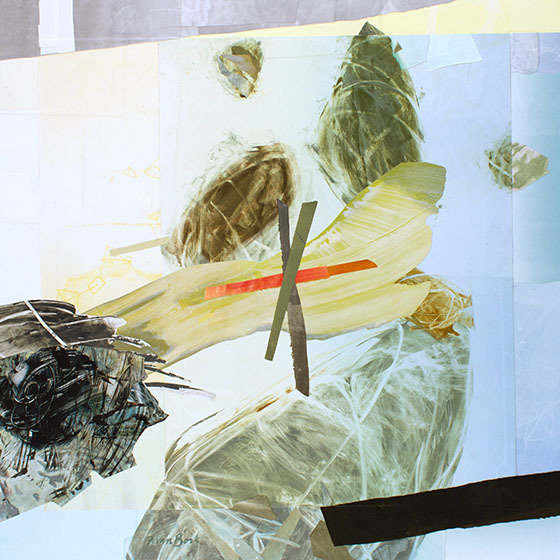 “Past & Present” will showcase 12 CPCC Visual Arts Studio faculty members and 14 CPCC Studio Art alumni, many of whom have exhibited their creations for the first time in Pease Gallery. This exhibit will celebrate the decades of creativity developed through CPCC’s Visual Arts programs. 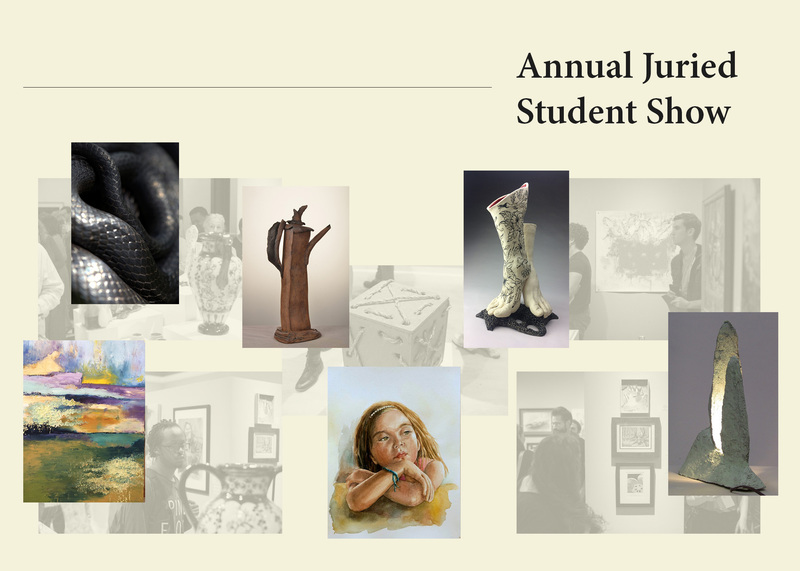 Each year, our Visual Arts Department and Sensoria hosts a Juried Student Art Show that recognizes works in painting, photography, drawing, ceramics, jewelry, and sculpture. With that comes an array of awards from the Presidential and CPCC Foundation Purchase Awards, to first, second, and third place prizes. The entries are also considered for League of Innovation in the Community College, a national competition. Five Central Piedmont Visual Arts Students will be selected to showcase their artwork in an exhibition with students of community colleges nationwide. 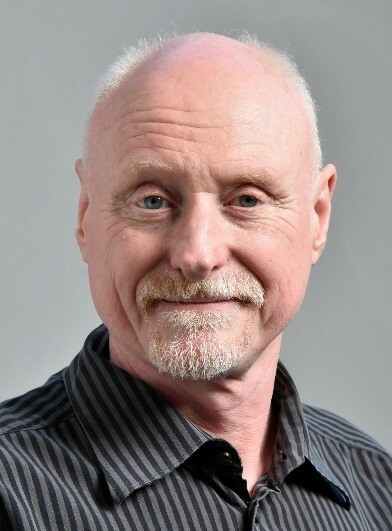 April 7 from 7:30 to 9:00 p.m.
Charles Lewton-Brain studied and has worked in Europe and North America. 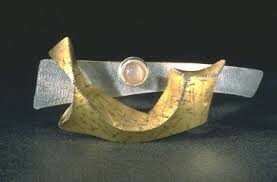 He is a master goldsmith, author, artist and he teaches internationally on his research. 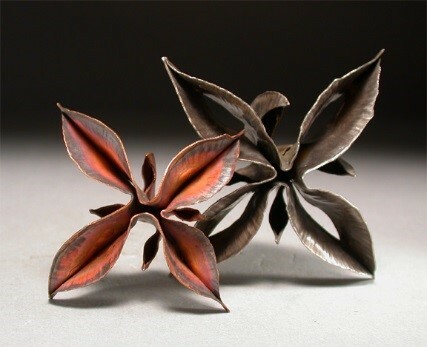 He invented Fold-Forming, a completely new system of metal working. He is Past- President of The Canadian Craft Federation. Along with Dr. Hanuman Aspler, he co-founded the Ganoksin Project, the world’s largest internet resource for jewelers. In 2012, he won the highest national award for Craft and Visual Arts, the Saidye Bronfman Governor General’s Award. He currently teaches in Jewellery/Metals at the Alberta College of Art and Design in Calgary. 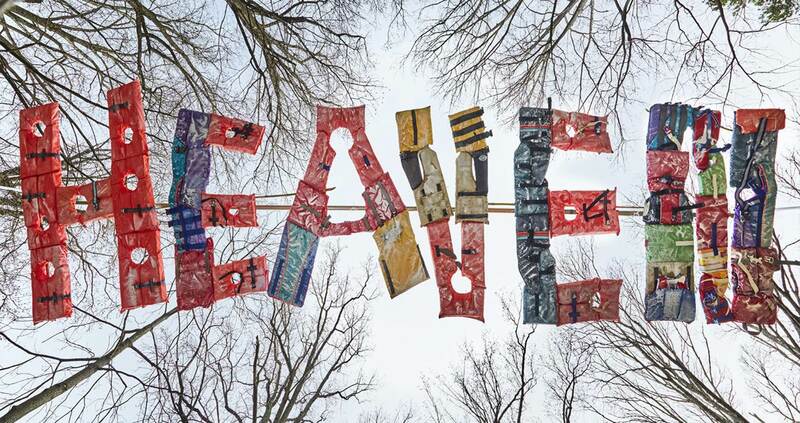 This is a free lecture and some of his work will be on exhibit in Gallery Reception, Overcash Center April 6 & 7 from 6:30 – 9:30 p.m. & April 8 from 1:30 – 4:30 p.m. 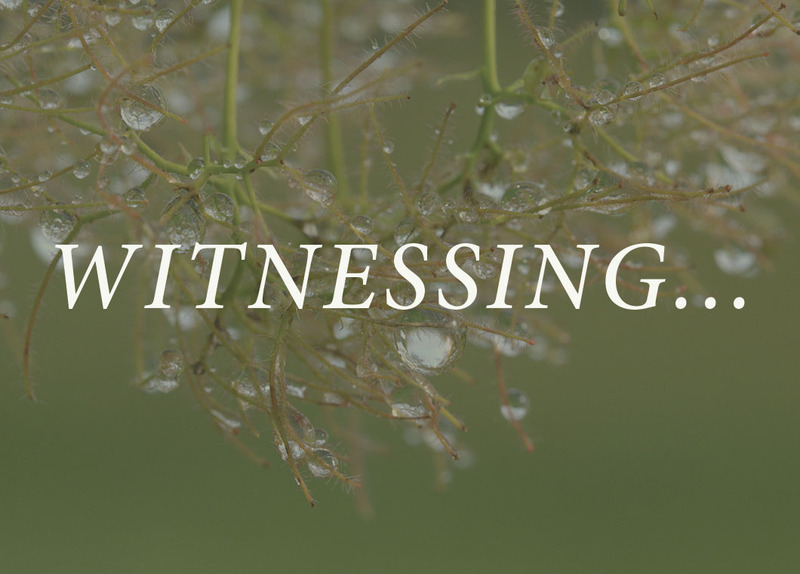 The artist is here to see the amazing gift of our world and more, to bear witness to it, testify with their work, bring amazement to the community. In this show, from the community of Airy Knoll to the larger community of CPCC and Charlotte, these gifted artist bring their vision. Each summer, instructor Elizabeth Ross takes a group of students to a farm in Middlebrook, VA, to participate in a resident program presented by the Art Department of CPCC. During their week-long stay, students take part in an intensive exploration of the creative process of finding one’s own voice in the visual and verbal arts. The artwork on view is the product of each student’s own reflection on their experience. Join us for our fourth annual CPCC Invitational Holiday Market fundraiser: Alumni, students, faculty, and staff offer their artwork for sale for under $250. Commission from works sold will go toward Gallery educational programming and support the Visual Arts Club. This is a great opportunity to collect affordable art by prominent local artists and get a head start on your holiday shopping. One Thousand Kisses is a collection of large abstract oil paintings and site-specific installation using recycling materials which highlights concerns around the endemic environmental issues. The visual language changes from one work to the next. Each work is composed of a variety of sculptural relief materials such as: wood, metal, recycling material and other inexpensive items intended for single use. The exhibition is constructed to draw the attention to the complex relationships between aesthetic appreciation of nature and environmental issues. 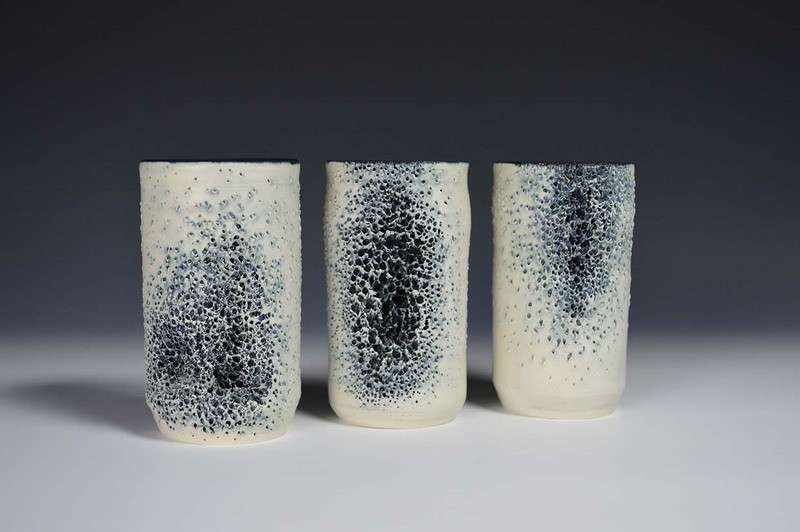 Natalie Bork’s hollow, cylindrical forms hover above the ground at various levels. Each form hangs plumb from a steel cable which enables it to oscillate left and right with the slightest breeze, draft or passerby. Viewers can walk in between the suspended cylinders watching as the forms slowly begin to spin. The child within may inspire the viewer to lay down on the ground and look up at the brightly colored bottom facets of each cylinder and relax as he or she watches them spin from the airflow. The cylinders react to the energy we give off when we walk or run, creating a ripple effect. The Annual Juried Student exhibit showcases top talent among our students at CPCC, highlighting the variety and skill in our Visual Arts program. A number of prestigious awards, including Best in Show, Presidential Purchase, and John White Photo Award will be announced at this much beloved ceremony and reception for students, faculty, family, friends, and guests. This year’s honored juror is Kristin Rothrock, Lecturer in Foundations at UNC-Charlotte. Awards Ceremony and Opening Reception are open to the public, and always FREE to attend; light hors d’oeuvres and refreshments will be served. 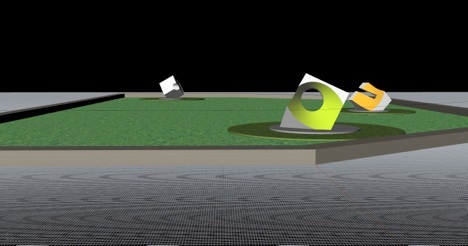 Matt Horick, creator of the brand new site-specific sculptures designed for the LRC Greenroof, will explore his process from concept to 3-D rendering, to live scale fabrication. 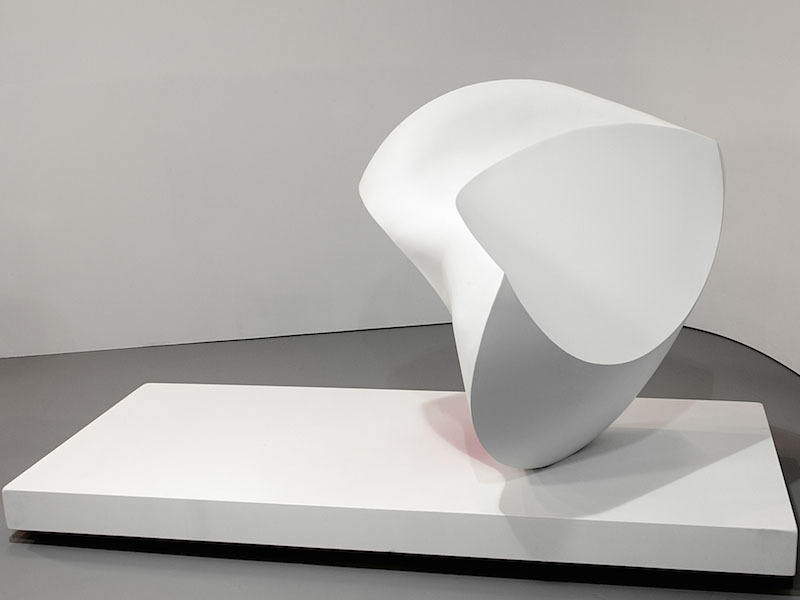 The newest addition to CPCC’s permanent collection, Horick’s sculptures will be unveiled for this first time this evening to lucky attendees of this event. During this collaborative presentation, Lance Ollivierre, CPCC’s Director of Facilities and Operations, will explore the history of the LRC Greenroof, joined by David Valder, CPCC’s new Director of Energy and Sustainability, who will discuss best environmental practices at the college. Paradoxically, to internalize the discovery that another person is a stranger, with their own inner-life and uniquely ”other” perspective, is a rare but real contact with another subjectivity; our differences define both our individualism as well as our inseparable connection. This dichotomy between how we strive to shape our own lives individually towards our own goals and how we interact with strangers in a common space lies at the heart of the human condition, and it becomes particularly pronounced in times of mass migration, when cultures of apparent contrast are forced to interlace with one another. Shifting one’s perspective brings us closer towards understanding others with different circumstances and life experiences. Breaking down barriers surrounded by fears, misconceptions/stereotypes and prejudices. Offering individuals who have experienced the emotional disorientation and trauma of flight to employ their creative abilities and share their individual stories with the community. The project launched in June of 2016 at the Novilla Center for the Arts in Berlin, Germany, then travelled to the Kunst am SpreeKnie Arts Festival, Berlin, Germany. Migration continues as this multi-dimensional exhibition, site-specific installation, and performance piece will travel to Charlotte, North Carolina to headline Ross Galleries for Sensoria 2017. Community Partners and support for We See Heaven Upside Down include Moving Poets (Charlotte/ Berlin); German Federal Ministry for Families, Seniors, Women and Youth; the German Federal Program for Democracy Lives; Arts & Sciences Council Regional Artist Project Grant; Jeff Cravotta Photography; the North Carolina Arts Council (NCAC), Blumenthal Emerging Artists Endowment, and Harper Corporation of America. ”As 4an immigrant and former refugee, I am faced with the challenge of living between cultures. My perception of home, land & country is fragmented and ever changing. MyLoan Dinh was born in Saigon, Vietnam. During the war, she and her family fled by sea to refugee camps in Subic Bay and Wake Island in the South China Sea. Later they were brought to Camp Pendleton, California, known as Tent City, one of four large camps for Vietnamese refugees. From there, the family immigrated to Boone, eventually settling in Charlotte, North Carolina. Dinh studied Fine Arts at the University of North Carolina in Chapel Hill and at the School of Arts and Design at Wollongong University New South Wales, Australia. Her creative talents led to designing and creating costumes and sets for professional dance and theatre for over a decade. In 2008, she returned to painting and renewed her focus on visual arts projects. 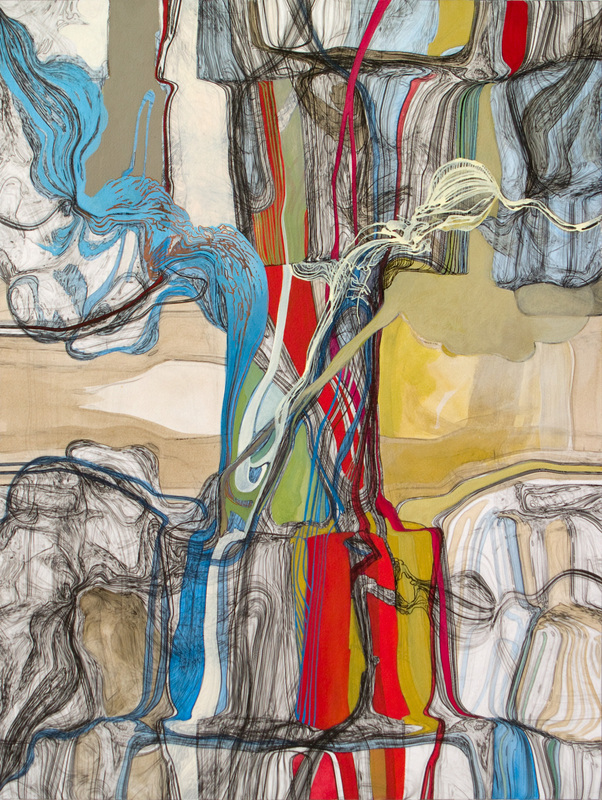 Dinh has exhibited internationally and her work is found in private collections in the United States, Germany, Turkey and Switzerland. Lee Baumgarten is a former Associate Professor of the Columbus College of Art & Design who has lived and produced in Ohio, New York, West Virginia, Florida, South Carolina and North Carolina. 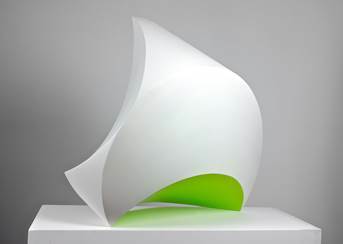 His paintings, drawings and sculptures are included in corporate and private collections nationwide and in Europe. In 2013, he was awarded a grant by the National Dunspaugh-Dalton Foundation to promote STEAM, a “creativity in public schools” education model, which Charlotte then adopted. Presently, he is an advisor/consultant for academies and magnet schools in the public Charlotte Mecklenburg School System (CMS), promoting creativity and design in K-12 education. In December, 2015 President Obama signed the Bill into law, a STEM2STEAM model for all public education, which will effect over 50 million students nationwide placing greater emphasis on the arts. These false figures are the vessels that contain our many selves, those we own outright, and those we do not always wish to display. They are where we store our fear and longing, our pride, our shame, our tiny truths. They become something beyond a substitute, more like an extension of self, a reflection that both duplicates the familiar and insinuates the foreign. Artists Stacey Davidson and Jason Watson both use these figurative forms to explore themselves and the social worlds they navigate, along distinct, but sometimes parallel, paths. 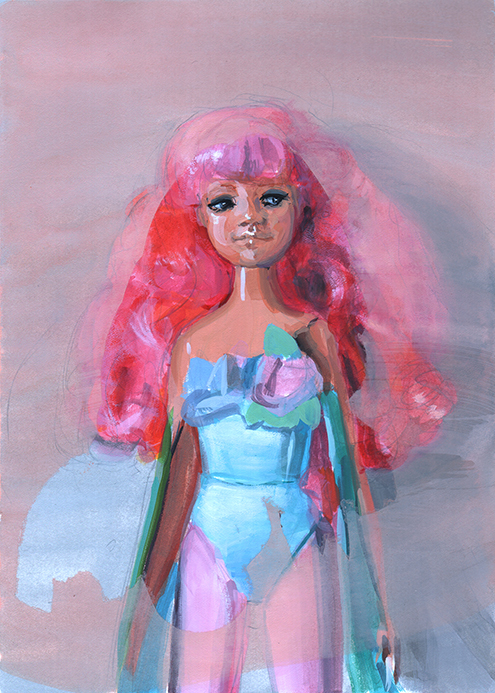 Davidson’s paintings and drawings begin with keen observation of both live models and the dolls she makes to serve as live models. Her probing of these real and newly imagined bodies is an ongoing investigation of portraiture and what it reveals to both herself and her viewers. With painterly grace, she investigates dolls not to dispel their uncanny nature, but instead to enter into its deep mystery. Jason Watson also draws from found figures, but along with dolls looks at museum mannequins and portrait busts made from marble, wood, and bronze. He encounters these heads in museums and sketches them onsite, translating hard materials into lyrical drawn line, and adding to the archive of faces he later pieces together in tangled, cryptic compositions. Found objects and fractured text animate these works into something caught between narrative suggestion and the absurdity of dreams. Both artists make to learn, about both their chosen subjects (the doll, the marble bust, the other…) and themselves (the artist, the maker, the inner psyche…). The hybrid German / English word “Doppelgängers” is a fitting title and introduction to this ongoing creative process, as it alludes to both the physical reality of the portraits before you, and to the ever elusive faces and bodies they depict. Stephanie Neely’s relationship with art making has long been one of guarded secrecy. Beginning in childhood, drawing and painting became strong creative impulses in her life, though for a long time they remained only as secondary pastimes. Initially pursuing diverse academic and professional routes such as landscape horticulture, law, and religious studies, her interest in painting continued to develop as a latent and ever-growing source of intrigue, eventually culminating in a newly defined connection to the medium of oil pastel. 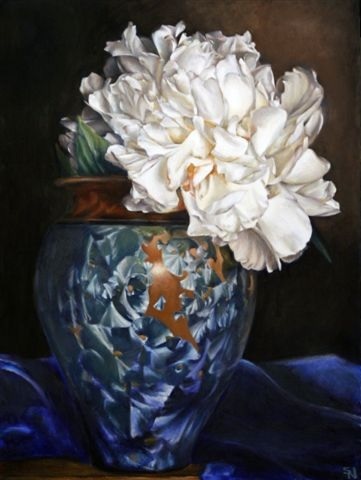 For the past decade, Neely has concentrated on depicting plant and flower materials in the form of beautifully detailed and enigmatic still life paintings. Her large-scale works take various elements of the natural world as their muses and render them with a deeply-felt sensitivity towards the subject matter at hand. 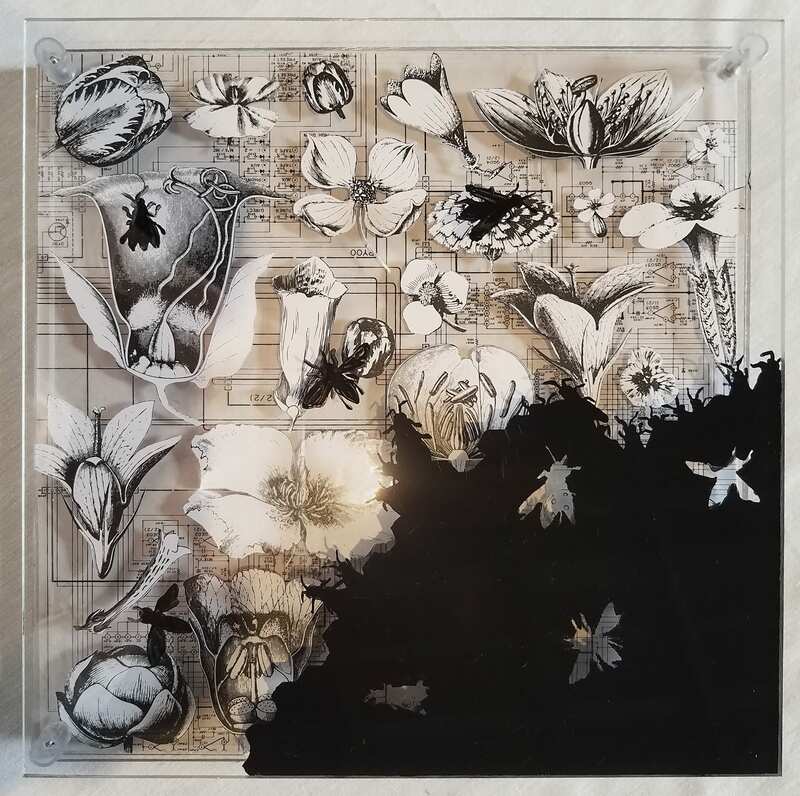 Drawing on skills acquired through her training in landscape horticulture and land surveying, Neely is able to transform her objects with both remarkable exactness and a keen sense of wonder. No longer simply a diversion from other aspects of her life, Neely utilizes her art to reveal the hidden and mysterious nature of her subjects, allowing viewers to take part in that same process of discovery. Neely’s works are the result of many challenges, frustrations, and, ultimately, the joys of overcoming the temperamental nature of her adopted medium in order to arrive at something truly fulfilling. For her, experimentation, patience, and failure are all integral parts of the creative process. 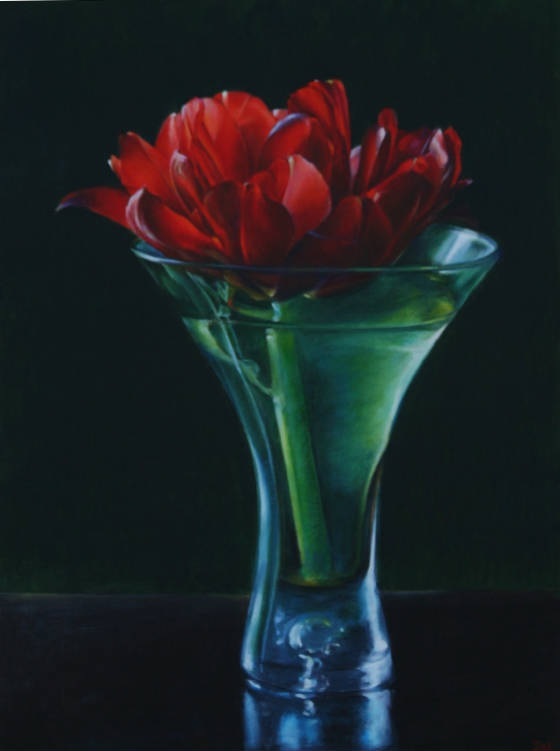 Entirely self-taught, she maintains the same fundamental joy and fascination in painting that motivated her in her early life, always striving for perfection and never short of emotional depth. Each summer, instructor Elizabeth Ross takes a group of students to a farm in Middlebrook, VA, to participate in a resident program presented by the Art Department of CPCC. During their week-long stay, students take part in an intensive exploration of the creative process of finding one’s own voice in the visual arts. 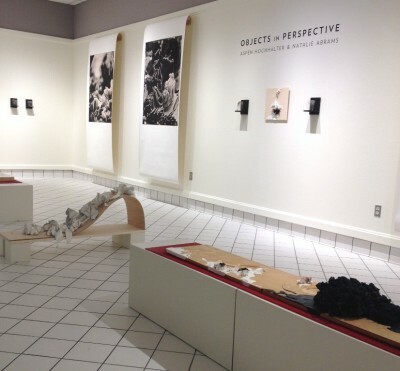 The artwork on view is the product of each student’s own reflection on their experience. 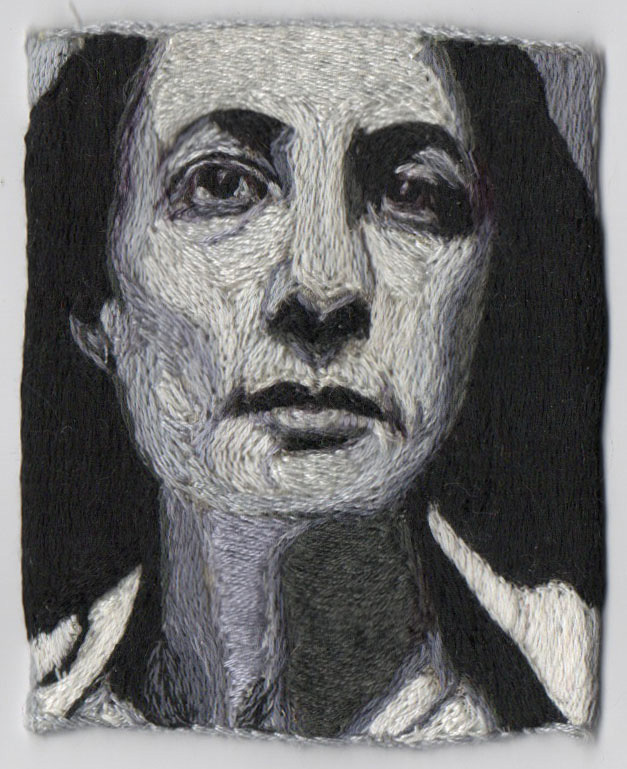 Art history, scale, and craftsmanship are characteristics that unite the work of Marcia Goldenstein and Todd Johnson— Goldenstein’s embroidered portraits of women artists that reference photography and Johnson’s painted miniatures of historical works on commercial paint chips. In Ladies in Stitches, Goldenstein celebrates women artists in a traditional craft which represents the domestic demands that they had to overcome to achieve their professional accomplishments. 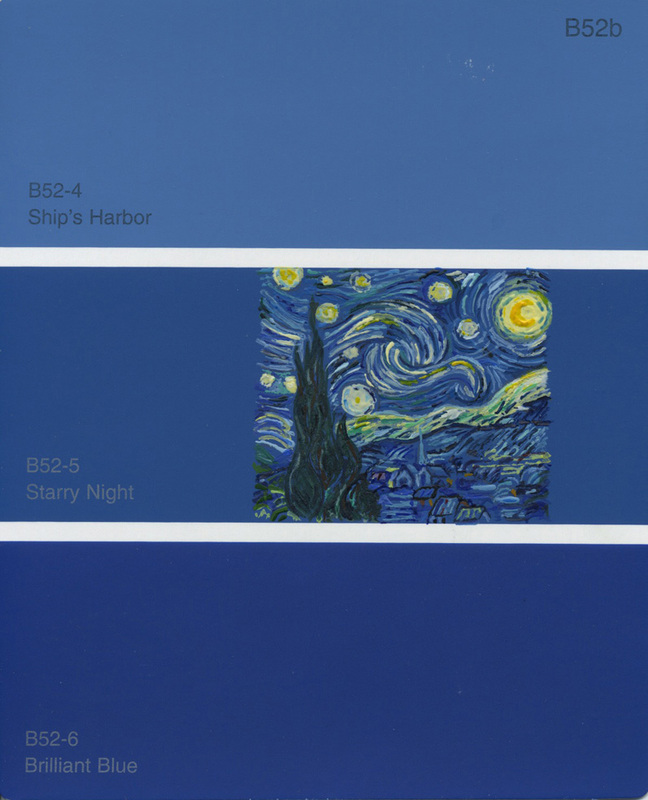 Johnson selects commercial paint chips whose names evoke famous works of art, then faithfully reproduces the work in miniature directly on the chip. Join us for our third annual Friends & Family Market fundraiser: Alumni, faculty, and student artists offer work for sale for under $50. Commission from works sold will go towards Gallery educational programming and to support the Visual Arts Club, ClayBodies or the Metal Arts Club. 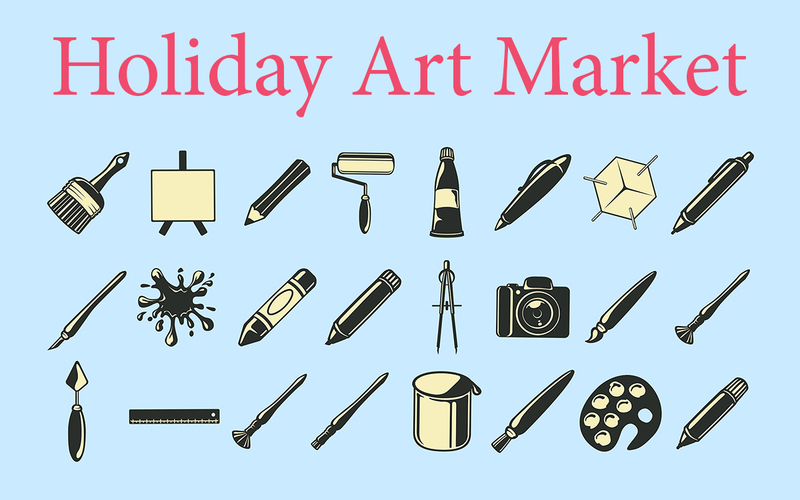 This is a wonderful opportunity to collect affordable art by prominent Charlotte artists or to find that perfect, one-of-a-kind holiday gift! Pervasive Pollution is a collaborative exhibition of the Metalsmithing and Jewelry Design Departments at Central Piedmont Community College, North Carolina; Indiana University Bloomington, Indiana; and Winthrop University, South Carolina; focused on the exploration of pollution and contamination on a small, personal scale. Artists from each school interpreted the topic of pollution as it applied directly to their person or personal surroundings with the collaborative goal to cultivate an appreciation for personal intimacy, as well as the personal sphere and how it can be encroached upon. Opening Reception: Thursday, Sept. 8, 5:30-7:30p.m. Amy Herman constructs photographs as a parallel to the construction of her own house. Projections of nostalgic family snapshots are ingrained onto her body and her home’s unfinished walls, representing the faux interaction facilitated by technology and confounding our sense of time: Disparate moments appear, simultaneously and chaotically, in the same frame. 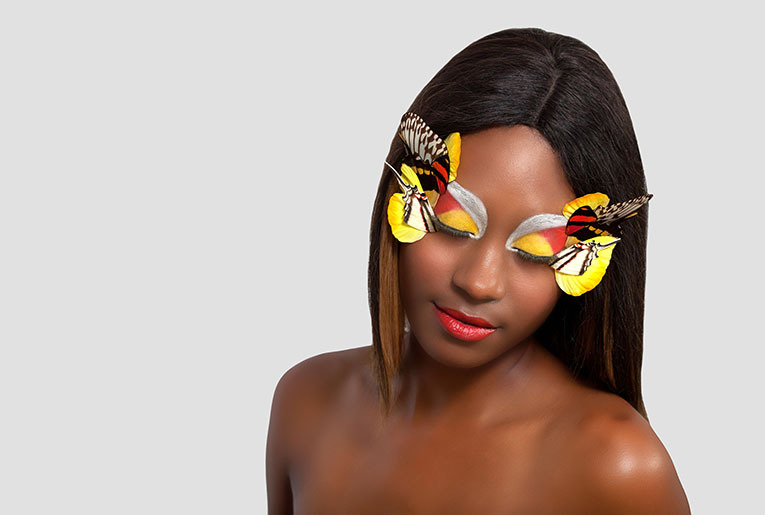 Make-up artist Cara Truitt brings her illustrative vision to-light in this inaugural exhibition with photographer Colleen McFiggins, and installation artist Chris Kollman. An invitational to CPCC’s Cosmetology School, the exhibition teaches the importance of collaboration and the possibilities of a career trajectory within creative fields. In Flight is a metaphoric invocation to rise up to our own authenticity. Women of varied nationalities are transformed into winged creatures, heralding fearlessness, creativity, and free expression before the lens. Using the human face and form as her palette, Truitt seeks to empower each young woman to adopt her own feathered alter-ego, begging the question: Can a temporary transformation inspire strength for lasting change? 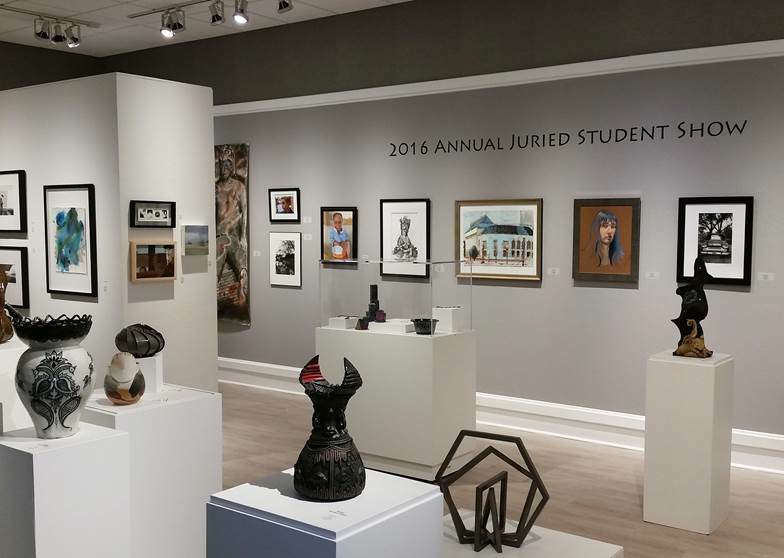 The 2016 Annual Juried Student Show presents the finest CPCC student visual artists and their works in painting, photography, drawing, ceramics, jewelry, and sculpture. A variety of awards are presented, including the Presidential and CPCC Foundation Purchase Awards, in this festive and celebratory event for students, faculty and guests. Our honored juror this year is Dr. Jennifer Sudul Edwards, Curator of the Bechtler Museum of Modern Art. Continuum: A sequence of events that allows us to move forward on our lives, from fear to freedom. 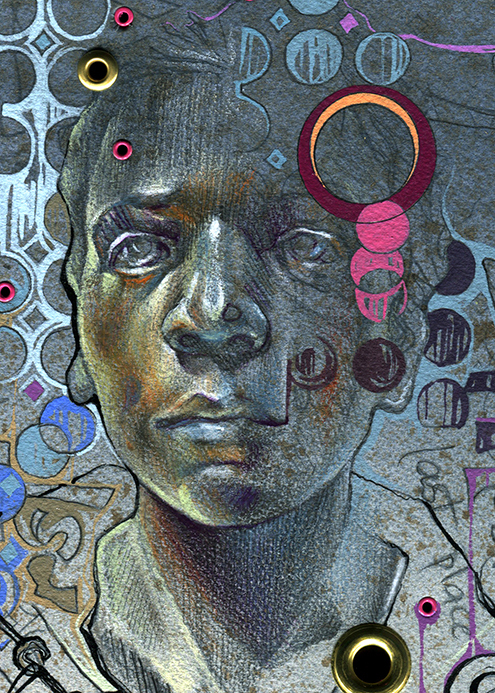 The story of our keynote Sensoria Visual Artist, Charles Williams, is fraught with challenge, beauty, and triumph— a potent illustration of success and tenacity in the face of life’s myriad challenges. Growing up as a young African American male in rural Georgetown, SC, Charles suffered three near-fatal drowning accidents. These traumatic experiences not only shaped his aquaphobia, but highlighted deeply-felt racial stereotypes throughout his adult life. 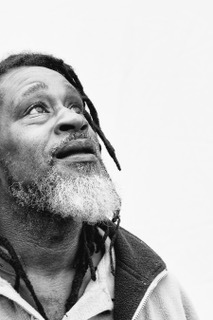 Rather than shy away from the subject matter which almost killed him, Williams has dedicated his life’s work to tackling the nature of fear itself, breaking down barriers of regionalist racial stereotypes in his wake. 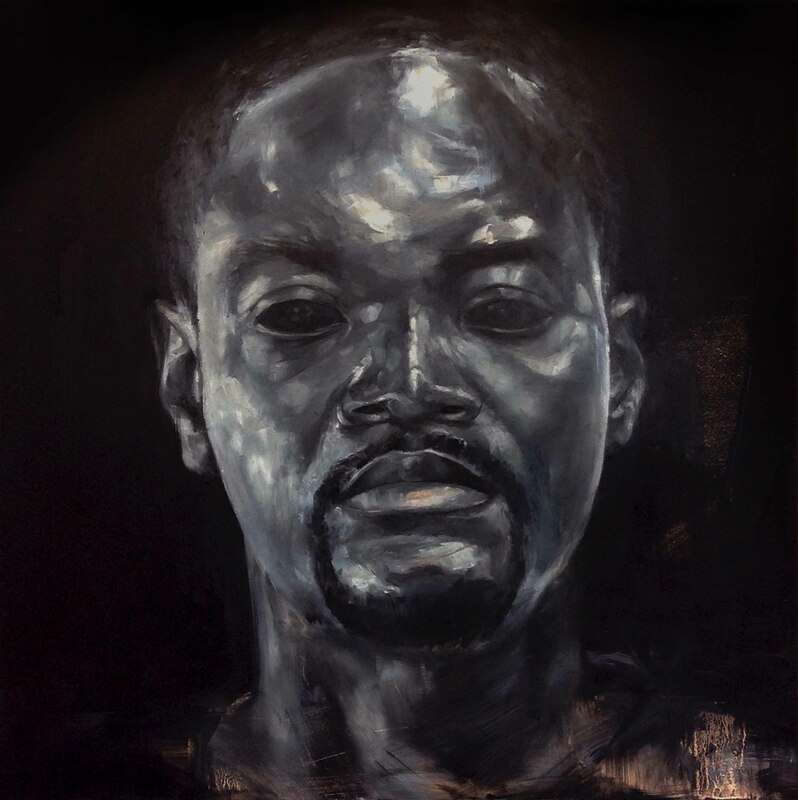 In his solo exhibition, Continuum, Williams will elucidate his personal journey in facing his fear through artistic practice. Ross Galleries will be turned into a dramatic, multi-media experience evincing the ocean at night. Artworks will each have a unique QR code, preloaded with poetic passages from Williams’ sketchbooks. Students and our community guests will be encouraged to write, draw, or paint on the walls of Ross Gallery II, under the vinyl lettered question, “What is your greatest fear?” Thus the Continuum exhibition will be a living, breathing, ever-evolving community piece as we share our deepest fears, connecting at the very nexus of what defines our collaborative humanity. As a greater articulation of the nature of fear itself, Continuum is a metaphor for life’s turbulent challenges, and how to face fear with buoyancy and grace. Miranda Pfeiffer Rock Line is a collection of graphite drawings, textiles and animations that evoke natural forms through excavation and touch. In the modern era, we scroll through images on our news-feeds and snap photos before a moment has passed. Amidst the disparate spray of a technological milieu, Miranda lingers with objects long enough to depict their minutest tendrils, building massive drawings with an everyday mechanical pencil. Through representational drawings and hand drawn animation, a moment of present observation can last eternally, keeping a viewer from assuming prejudice and extending one’s sensory delight. Désirée Petty’s previous education in Architecture instilled within her with an attraction to the beauty of both function and sculpture. In her clay practice, Désirée reexamines the line between functional and sculptural artworks. Her aesthetic is propelled forward by exploring new relationships between the two. Marks is inspired by a more personal narrative, exploring the effects experiences have on us as physical and spiritual beings. Times : Monday – Thursday 10 a.m. – 2 p.m. 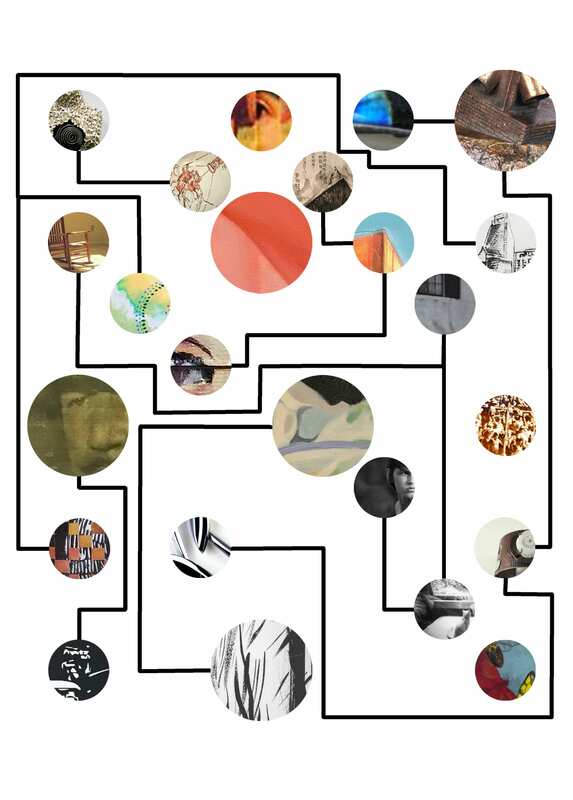 Opening Reception : Thursday, November 19, 5 – 7 p.m.
V.I.P. 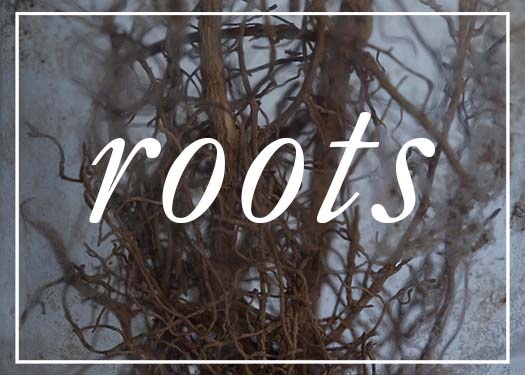 Reception : Friday, November 20, 6 – 9 p.m.
Each summer, instructor Elizabeth Ross takes a group of students to a farm in Middlebrook, Virginia, to participate in a resident program presented by the Visual Arts Department at CPCC. During their week-long-stay, they take part in an intensive exploration of the creative process of finding one’s own voice in the visual arts. The artwork on view is the product of each student’s experience at the farm. Holiday Reception: Thursday, October 29, 5 -7 p.m.
Join us for our second annual Friends & Family Market fundraiser. Alumni exhibiting artists, faculty members, and former and current students will have work for sale for less than $50! The commission from the works sold will go toward Gallery educational programming and to support the student Visual Arts Club. This is a wonderful opportunity to collect affordable art by prominent Charlotte artists or to find that perfect, one-of-a-kind holiday gift. Opening Reception: Wednesday, October 14 from 5:00 – 7:00 p.m. Artist Lecture: Thursday, October 15 from 2:15 – 3:15 p.m.
Barbara Schreiber creates colorful paintings that combine pretty pictures and tough subjects. Her work tells a distinctly American story – one of restlessness, one of real estate, bracketed by the open road and the gated community. In the purest sense, her works are landscapes, filled with deserts, mountains, fields and subdivisions – but at the heart, they are about the collision of the built and natural worlds, about battles in which outcomes are uncertain – with a twist of sardonic wit and humor. Barbara welcomes dialogue from viewers – especially those outside the art world – and if often inspired by their novel or unexpected observations. A tradition that spans decades, the CPCC Faculty Exhibition celebrates the art and educators whose original and innovative works influence the artists of tomorrow. 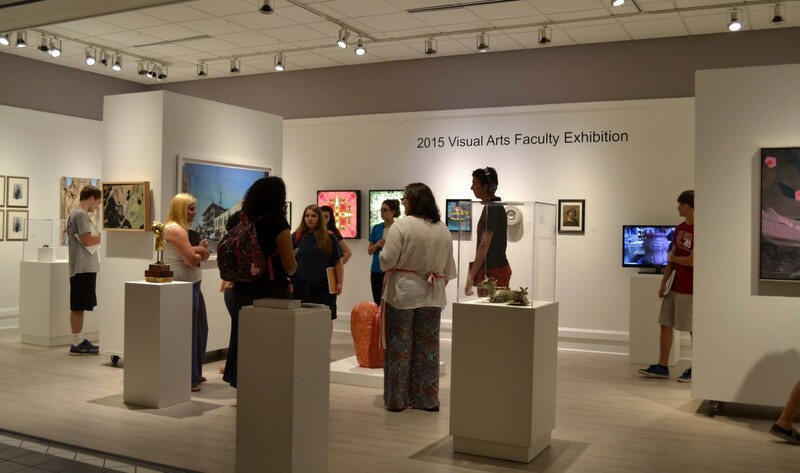 Contemporary works in a variety of media including painting, drawing, printmaking, sculpture, photography and ceramics will be shown, and represents the fascinating and varied vision of more than 20 instructors at CPCC! Featured artists include Danny Crocco, Paula Smith, Richard Thomas, Eliana Arenas, Ed Burnam, Al Torres, Nelli Levental, Elizabeth Ross, Jenny Zito-Payne, Felicia van Bork, Chris Pittman, Heather Felts, Roceun Kim, Stephen Hayes, Isaac Payne, Chelsea Arthur, Andrea Vail, Nancy Nieves, Carolyn Jacobs, Ashley Knight, James Spence and Justin Liddell. The resulting works can be viewed as conjured maps or recordings of (un) natural processes. Elements are held together precariously, making the images seem like they are in a state of flux. the vertical pieces point to portraiture. The large format horizontal pieces make reference to cinema in their proportions and are intended to suggest the unfolding of activity over time. They picture explosions that seem to be happening in slow motion and are as much, if not more, about creation as they are about destruction. Susan Brenner’s work has been featured in exhibitions acress the United States such as the Mint Museum, the Columbia museum of Art, the Boulder Museum of Contemporary Art, and Los Angeles Contemporary Exhibitions. She received her M.F.A. from the University of Southern California and is Associate Professor in the Department of Art and Art History at UNC Charlotte. Designers Dan Romanoski and Eric Hurtgen explore the intersection of physical and digital space through the medium of animated GIFs. The inherent abstraction of imaging the physical world is accentuated by the action of the endless loop. Mathematically modeled filters systematically destruct these images frame by frame according to preset functions, only to be reconstructed again in a seemingly eternal configuration. Each summer, instructor Elizabeth Ross takes a group of students to a farm in Middlebrook, VA to participate in a resident program presented by the Art Department of CPCC. During their week-long stay, they take part in an intensive exploration of the creative process of finding one’s own voice in the visual arts. The artwork on view is the product of each student’s own reflection on their experience. Through performance, photographs and video, Dia and El C. explore the hype and demise of one boxer, examining the media and public’s contradictory desire to build up our heroes (specifically our colored athletes) only to see them torn down. This boxer, once headed toward glory, is now a man who clearly did not live up to his potential. Photographed in the gym where he once trained, he and his environment are now a mere shell of the macho grandeur, aggression and intensity they once symbolized. “The Boxing Gym Is a Shot to the Gut” Creative Loafing, Oct. 29, 2014. 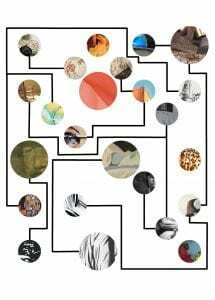 Pease Gallery will show prints from, Denisovan, an interactive artist’s book by Heather D. Freeman, Associate Professor of Art at the University of North Carolina at Charlotte. The story is a fictional imagining of a girl who died 40,000 years ago. Bone fragments from a single individual were found in a Siberian cave, and paleogeneticists at the Max Planck Institute for Evolutionary Anthropology mapped the genome, determining that the fragments belonged to a previously unknown hominid. The story of human evolution is many things. One part of this story is the nurturing of children by mothers and fathers, generation after generation. We know that the denisovan girl had brown hair and eyes, but we can only speculate on her family structure, and how parent-child relationships may have evolved in the last 40,000 years. This mobile app is neither a game, nor a book, but resides somewhere between the two and is available on iPhone, iPad and Android mobile devices. In addition to these beautiful large prints, smaller (8.5″ x 11″) prints and printed books will be available for purchase ($10-$15). Proceeds benefit the Art Gallery’s student initiatives and programming. 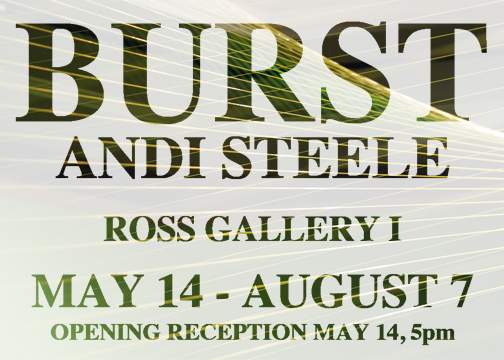 Andi Steele is an installation artist working with colored monofilament line. Her installations, which are highly measured and planned, involve stringing the monofilament across her site in order to alter the way visitors interact with the space and with each other. A true hands-on artist, Steele believes that craftsmanship and touching the work are important, taking great care to design and fabricate the pieces, which can involve tying thousands of knots. Because of this unique process, all of her installations are completely one of a kind and specific to their site. 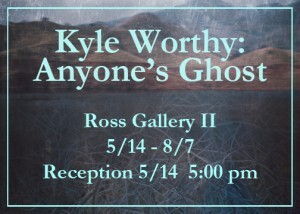 Kyle Worthy is an abstract landscape photographer living and working in Charlotte. The action of taking a photograph is just the beginning of his extensive development process, which involves digitally abstracting the image, printing, and sometimes even treating the surface with encaustic to give it a velvety finish. Worthy’s work deals with themes of memory and time, specifically with how images of our past lose detail and specificity as we age away from them, though they still retain great significance. San Francisco artist Kirsten Tradowsky takes inspiration from the past, specifically the objects that represent a person’s history and placement in life. For this exhibition, she has painted objects she found in the “for sale” section of Craigslist, capturing the quality of the seller’s photographic presentation in all its awkwardness, overexposure and strange angles. Using loose brushstrokes, she sympathetically renders these unwanted items in both rich and faded hues, delicately revealing the imperfections of time. Her artwork seeks to bring quality and validation to these objects and to painting itself. Tradowsky received a BFA from The Cleveland Institute of Art and an MFA from the California College of the Arts. 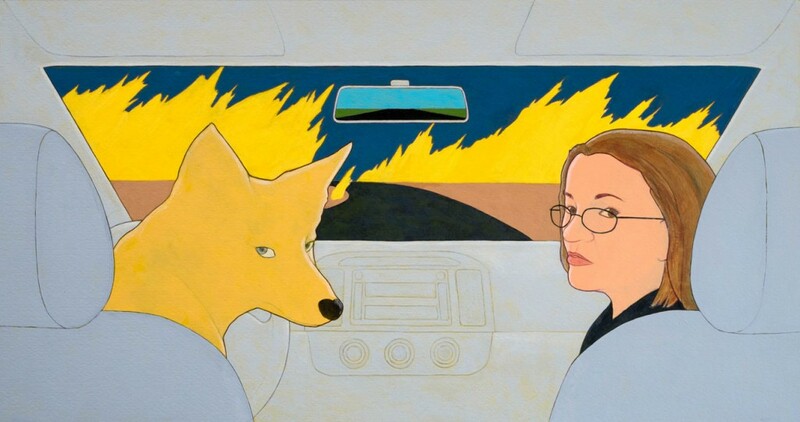 She has exhibited nationally and has been featured in Wallpaper Magazine, New American Paintings Magazine, and popular art/design blogs Design* Sponge and The Jealous Curator. This year’s student show contains 76 individual artworks by 50 CPCC Visual Arts students, created over the past year at CPCC. Works on view represent all media taught at CPCC, including painting, drawing, photography, sculpture, ceramics, jewelry/metalworking and more. 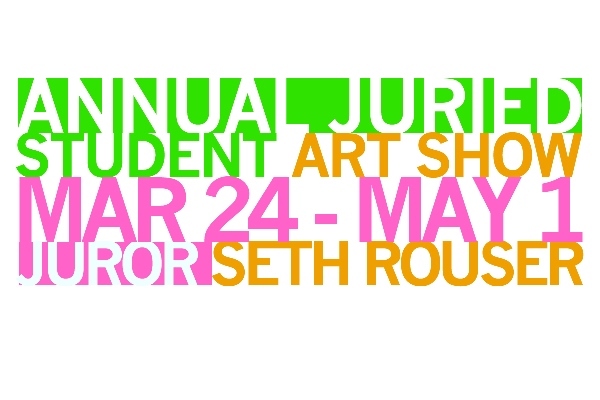 Selections for the 2014 show were made by Seth Rouser. CPCC Galleries will host a jewelry and metals invitational show titled “Jewelry + Metals of the Carolinas.” This exhibition is an abbreviated survey of what established and emerging artists in the Carolinas are currently producing. 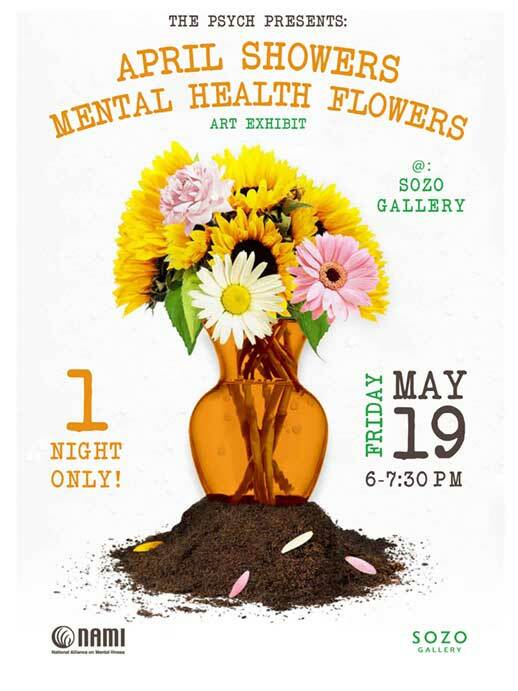 Exhibiting artists include Courtney Starrett, Mi-Sook Hur, Eliana Arenas, Claire Avery, Loring Taoka, Caitie Sellers, and Katie Poterala. The work on view will explore metal processes and techniques through examples of body adornment as well as wall sculpture. 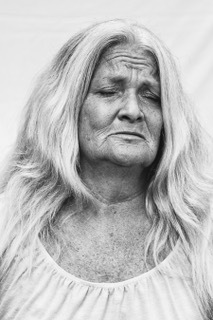 Through their individual bodies of work, Pamela Winegard and Betsy Birkner explore cultural limitations imposed on communities and individuals and the behavior that occurs despite these artificial constraints. Pamela Winegard, an encaustic artist and painter, explores architectural facades while Betsy Birkner, a ceramicist, communicates limitations on femininity through glazed corsets embellished with color and adornment. Janet Lasher is a Charlotte, NC artist working in fiber, textile, and handmade paper. The pieces in this exhibition are from her most recent body of work that focuses on idealized concepts of the female. Ross Gallery I will show Conscription, a unique installation that visitors are welcome to interact with by walking through and around it. 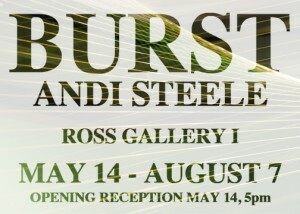 Ross Gallery II will feature embroidered and felted pieces considering the same themes. 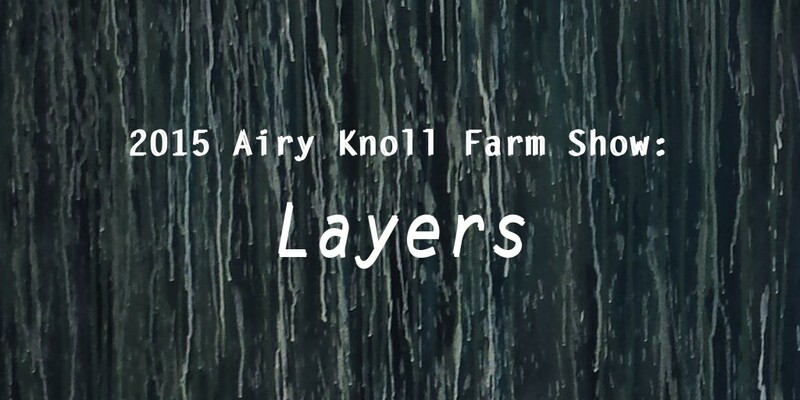 This exhibition contains work by students of the Airy Knoll Farm in Middlesburg, VA, and focuses on capturing the contemplative nature one must embrace as a member of the class. Long time CPCC Instructor Elizabeth Ross encourages her students to open their minds to a more subjective way of seeing and appreciating the world. In this exhibition, the paintings of Sharon Dowell will be shown with the ceramic work of Ahmad Sabha. The industrial, cylindrical ceramics, glazed in appealing colors, sit upon dark gray casted concrete forms and forged steel stands. 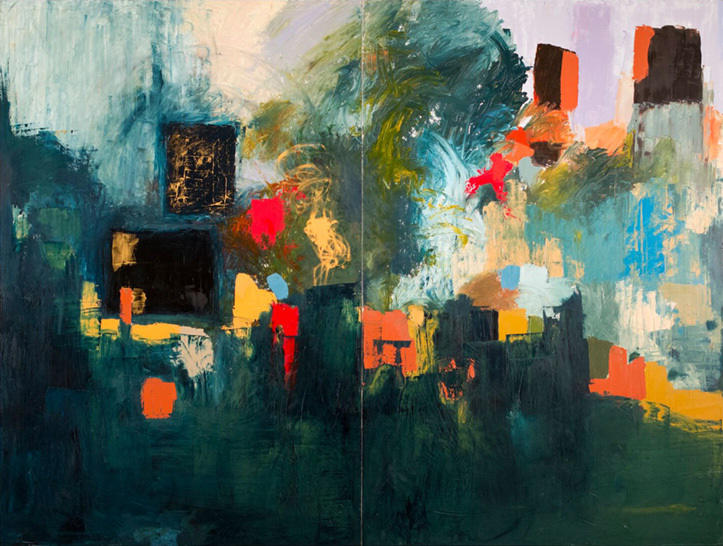 Dowell’s paintings are a bright, organic, vivid contrast, which, through their visual components of maps, streets, and buildings, provide a wonderful visual echo. The 2013 Faculty Show features work exclusively by CPCC Faculty, including Ashley Knight, Carolyn Jacobs, Isaac Payne, Elizabeth Ross, Chris Pittman, Heather Felts, Jenny Zito-Payne, Byron Baldwin, Rachel Goldstein, Rae LeGrone, Ta’Vondre Quick, Paula Smith, Geoff Blount, Nancy Nieves, Al Torres, and Kappy McCleneghan. In “The Factories Don’t Install Emotion Tapes”, Amy Bagwell explores the boundaries of poetry by re-envisioning the link between poetry and visual art. With an underlying motivation to make poetry more accessible, each piece is an assemblage of found objects, usually mechanical, whose purpose is to highlight the themes and visual presence of her words. Through his sculpture, Kit Kube explores spheres of movement, visual feedback and interaction with found artifacts, forging symbiotic affinities with elemental forces such as gravity and angular momentum. In “Turbulent Trajectories”, remnants from our mechanistic past are reinvented, incorporating movement, light and shadow. 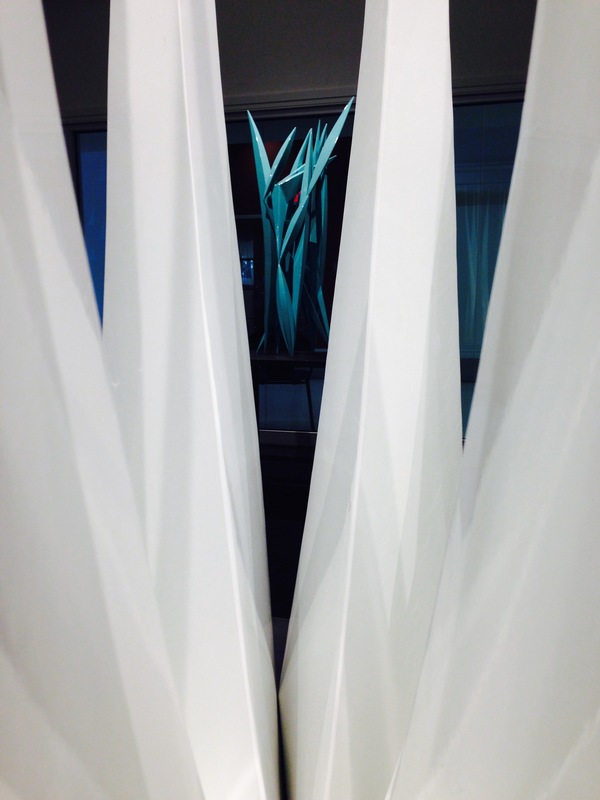 The pieces challenge viewers to reinterpret connections to their surroundings.